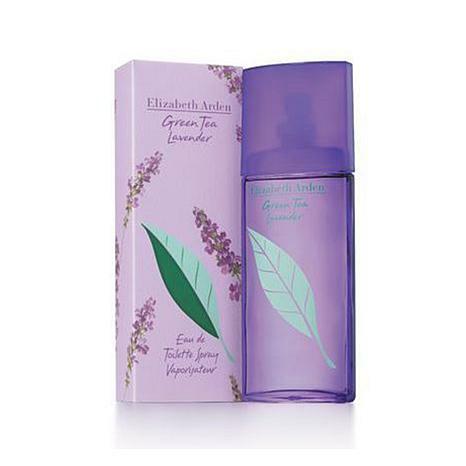 Attract a buzz every time you surround yourself in the sweet, floral aroma of Green Tea Lavender. This relaxing, feminine scent offers a sweet and mild fragrance experience with just a hint of zest to help you create a tranquil, lovely presence wherever you go. Ingredients: ALCOHOL DENAT., WATER/AQUA/EAU, PARFUM/FRAGRANCE, CAMELLIA SINENSIS LEAF EXTRACT, BUTYLENE GLYCOL, LAVANDULA ANGUSTIFOLIA (LAVENDER) FLOWER EXTRACT, PROPYLENE GLYCOL, BUTYLENE GLYCOL, PENTAERYTHRITYL TETRA-DI-T-BUTYL HYDROXYHYDROCINNAMATE, BENZYL ALCOHOL, BUTYLPHENYL METHYLPROPIONAL, CITRAL, CITRONELLOL, GERANIOL, HYDROXYISOHEXYL 3-CYCLOHEXENE CARBOXALDEHYDE, LIMONENE, LINALOOL, BUTYL METHOXYDIBENZOYLMETHANE, ETHYLHEXYL METHOXYCINNAMATE, ETHYLHEXYL SALICYLATE, PHENOXYETHANOL, EXT. VIOLET 2 (CI 60730). 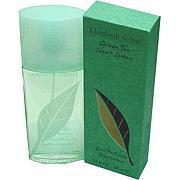 Love this scent, clean, work appropriate, modern and adult,with the calming effect of lavender! Love it! I love this scent. It is soo fresh and clean smelling. 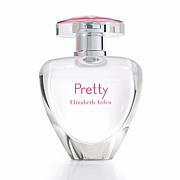 I get compliments every time I wear it and more important , this wonderful scent lasts all day.